We all do from time to time... and with summer over for some and almost over for others, stress seems to be in the air. Whether you're crazy pressured to get all you wanted done this summer or worried about junior year exams or the fear of the unknown freshmen year or how you're going to get a date to winter formal..... 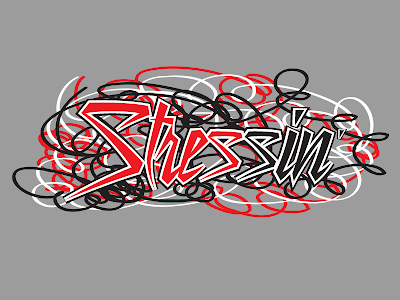 Stress has taken up residence in the center of high school life. But good news for you... starting this Sunday, August 16th, we're taking 4 weeks to kick stress to the curb and manage it well. So join us at 9am or 10:45am for some help dealin' with the stress from this little thing we call life. REFUSING TO ACCEPT THE END OF SUMMER... THE NEW FRESHMEN... AND THE FACT THAT WE LOVE A GOOD LUNCH... are at least 3 great reasons for us to BBQ. 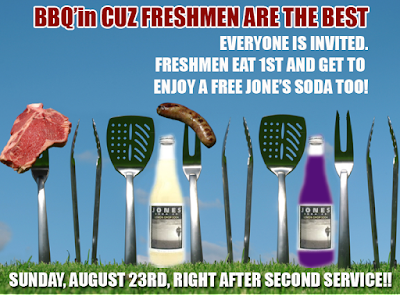 So, everyone - FRESHMEN OR NOT- is welcome to come and eat with us and bond for a free BBQ right after second service on Sunday, August 23rd right here directly outside of Student Center A.
Freshmen eat first and get a Jone's Soda too... so there ya go. Don't miss Sunday August 23rd and you'll be kickin' off your school year with serious good times. Calling all students and parents of middle school and high school students in the 2009/2010 school year!!!! when are the retreats and events and what will they cost? when do small groups start? how do I stay informed on the latest updates? what can I do to serve? what topics will be covered on the weekend? If so... then you're in luck. 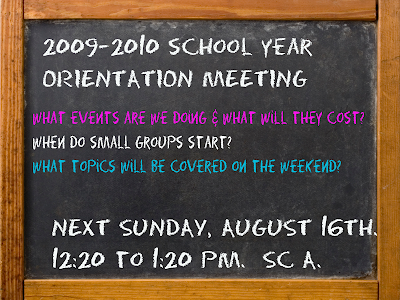 Come to Student Center A for a brief but very thorough meeting from 12:20pm to 1:20pm on Sunday August 16th and you'll get all the info you need and be able to ask all the questions you want.